Port of San Diego announces work on updated launch ramp won’t be completed before Memorial Day Weekend. SAN DIEGO — Shelter Island Boat Launch Ramp will remain closed at the start of San Diego’s boating season and into the beginning of summer as the venue’s improvement project suffered another delay, it was announced on May 10. 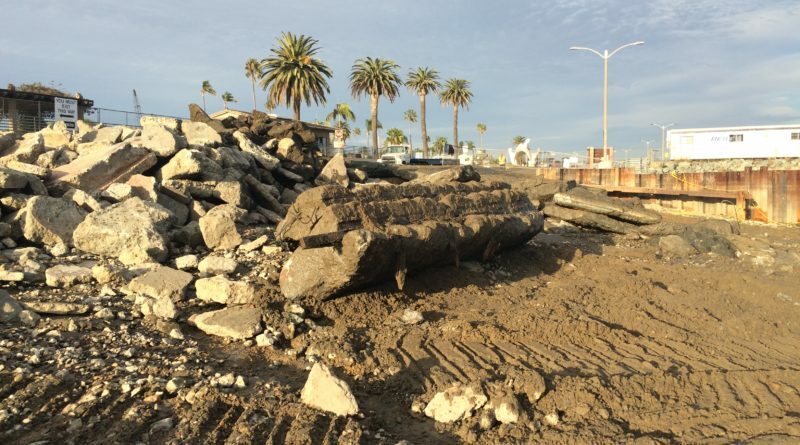 The boat launch ramp’s improvement project was supposed to be completed ahead of this year’s Memorial Day Weekend, but the Port of San Diego stated “longer-than-expected delays” will keep the high-traffic boating venue offline for a few more weeks. Boating season traditionally begins Memorial Day Weekend and continues through Labor Day. The Port of San Diego anticipates the boat launch ramp will re-open in late 2018. Port district staff added there is a possibility one lane could be temporarily opened to the public during the summer season. This is the second delay announced by the port district in two months; construction was initially delayed in March. The revitalization project was about 50 percent behind schedule in January. Work on Shelter Island’s boat launch ramp – the busiest in San Diego – began in May 2017, meaning it has been under construction for one year now. Port district staff anticipated work the revitalized boat launch ramp would be completed within nine months. The original target for the launch ramp’s re-opening was set for March of this year, but “an unforeseen element” forced port district officials to alter plans. Shelter Island Boat Launch Ramp has been closed in entirety since the end of summer last year. The boat launch ramp improvement project carries a $9.5 million price tag; the Department of Boating and Waterways, Wildlife Conservation Board and Port of San Diego provided funding for the project. Shelter Island’s 10-lane boat launch ramp handled about 50,000 boats annually, according to port district staff. Improvements were necessary, they added, to address wearing and the corrosive effects of seawater. “The heavy daily use, and the increase in larger recreational boats, resulted in congestion and delays in launching,” port district staff stated. An updated boat launch ramp at Shelter Island is expected to be safer for launching and more navigable for boaters once in the water, according to port district staff. “Upgrades include enlarging the maneuvering area in the basin, replacing the worn-out launch ramp, increasing the lengths of the boarding floats, installing public walking platforms with viewing areas, installing signage and lighting and updating the docks, public walkways, adjacent parking and restroom to current Americans with Disabilities Act Standards,” port district staff said in a released statement. Workers are currently conducting pile-driving operations. A few items, such as demolition of the previous boat launch ramp, installation of a temporary cofferdam, and fabrication and partial installation of breakwater wall panels, have reportedly been completed. Visit portofsandiego.org/sibl for a list of alternate boat launches and construction updates. What an unbelievable farce! Over ONE & A HALF YEARS to re-do a launch ramp! The excuses given are as lame the apologies. This is bureaucratic bumbling on an epic scale. What? They didn’t expect to find concrete and asphalt fill – on an “island” that was originally created with fill?? What? The contractor had a hard time moving this fill – even though they were using equipment capable of moving the gigantic riprap around?? The FACT is that thousands of trailer boaters are being hugely inconvenienced (some even opting to sell their boats) and dozens of businesses are suffering severe economic impact. Where is the help for all those SDUPD tenants and customers?? Yet another example of SDUPD incompetence and arrogance. What a shame for the hard working men, women, and children trying to make a living on the San Diego waterfront, or trying to get some recreational use of the Bay and local waters.